Jurors weren't allowed to hear testimony that Bill Cosby's chief accuser was once hooked on hallucinogenic mushrooms or had her sights set on becoming a millionaire, but that hasn't stopped the defense from airing the explosive claims about Andrea Constand in the court of public opinion. 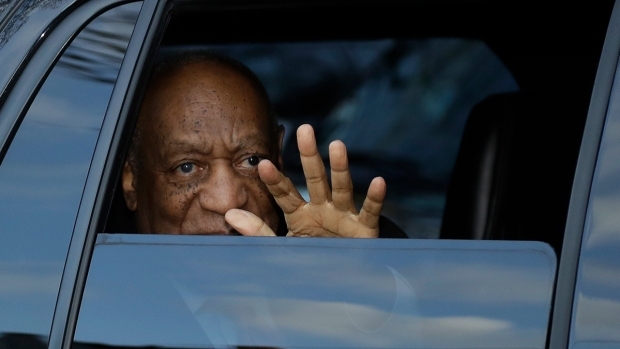 With Cosby's sexual assault retrial heading for deliberations this week, the 80-year-old comedian's lawyers and publicists are increasingly playing to an audience of millions, not just the 12 people deciding his fate. They're hitting at Constand's credibility in the media with attacks that Judge Steven O'Neill is deeming too prejudicial or irrelevant for court, and they're holding daily press briefings portraying Cosby as the victim of an overzealous prosecutor and an unjust legal system. Lawyer Dennis McAndrews, who's been in court following the retrial, said prominent defendants like Cosby almost always play to the court of public opinion when there's no gag order, but that his team's approach hasn't been "particularly effective or convincing." "It is so strident, and it is so hyperbolic, I think most people will turn it off," said McAndrews, who prosecuted chemical heir John E. du Pont for murder in 1997 and is not associated with either side in the Cosby case. O'Neill is expected to rule Monday on what could be the Cosby team's last line of attack in the courtroom: whether jurors can hear deposition testimony that Cosby's lawyers say could have insights into what led Constand to accuse him. Constand's confidante, Sheri Williams, gave the testimony as part of Constand's 2005 lawsuit against Cosby, which he wound up settling for nearly $3.4 million. 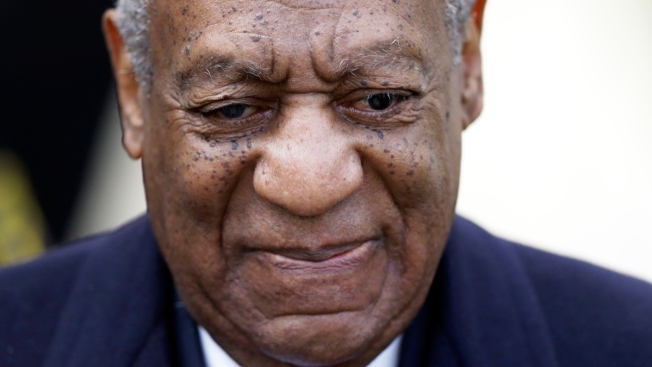 Cosby's lawyers said that testimony is vital because Williams is not responding to subpoena attempts. Cosby's lawyers are expected to call an agent and an aviation consultant to the witness stand on Monday as they continue to make the case that he never visited his suburban Philadelphia mansion in January 2004 — the month Constand says he knocked her out with pills and molested her there. Cosby's lead attorney, Tom Mesereau, opened the retrial by calling Constand a "con artist" who framed Cosby for a big payday. Her former Temple University colleague Marguerite Jackson testified that Constand once mused about setting up a high-profile person. Mesereau raised Constand's alleged drug use on Friday in a courtroom full of reporters, but no jurors, saying bus driver Robert Russell's testimony would contradict her claims of living a healthy, holistic life. Wyatt repeated the allegations to the TV cameras outside the courthouse. "This lady is a health nut," said Troiani. In court, Mesereau argued that Russell's testimony would crack Constand's "false aura" that she's the "purest person" and undercut the prosecution's suggestion that she's "some innocent babe in the woods." "According to her close friend for a number of years, that's nonsense," Mesereau said. O'Neill swiftly rejected the drug testimony, saying Constand's behavior three years before the alleged assault was irrelevant. He also prevented Russell from testifying that Constand went to the U.S. with a goal of becoming a millionaire, saying it was too broad a claim to have any relevance to the assertion that she framed Cosby for money. "It is absolutely part of their strategy to smear her reputation," Troiani said. "They know they have judicial immunity, so they can say these things whether or not there's a basis in fact."